Every September 17, all institutions of higher education receiving federal funds are mandated to hold an event in recognition of Constitution Day. This Constitution Day, we heard from Leo Vasquez, Harris County Tax Assessor & Voter Registrar. Harris County is the nation’s third most populous county with four million residents across 1800 square miles. Harris County Voter Registration office has a goal, and that is to have every eligible citizen registered to vote. They take every opportunity to coordinate with existing resources to get their message out. For example, they have an agreement with apartment offices to distribute voter registration cards with every new apartment lease. Residents will also receive a voter registration card from the Texas Land & Title Association when closing on a new property. You may have seen voter registration drives while attending your favorite Houston sports events. During the last election cycle 40% of new voter registration came from the DPS “Motor/Voter” registration program. 40% came through the regular mail from various partnerships, and 20% came from the volunteer deputy registrar program. 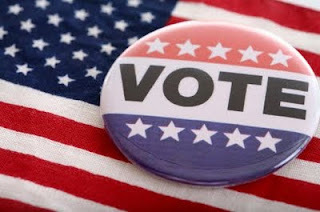 The volunteer deputy registrar program allows them to work with legitimate organizations to collect voter registration. Mr. Vasquez provided examples about two extremes. Mr. Vasquez spoke very highly of the League of Women Voters, who are active in the community providing non-partisan information about upcoming elections and encouraging voter registration. When asked how many are aware that there are 11 Texas Constitutional amendments on our November ballot, no one in the audience responded. He encouraged everyone to check out the League of Women Voters for more information about the upcoming ballot. The most challenging organization he has worked with in Harris County is ACORN. His office discovered that 113 of the 399 ACORN volunteer deputies were convicted felons. Mr. Vasquez reassured us that voter fraud is real and prevalent. His office weeds out fraudulent applications on a regular basis. They have documented numerous cases of voter fraud including dead people who vote in person and precincts that report a greater than 100% voter turnout. He mentioned that it is extremely easy for early voters to vote again on election day when precinct judges don’t mark early voters in the precinct rolls. Last year the Voter Registration office caught a college student who admitted she failed to complete her class assignment of signing up people to vote, so she filled out the voter registration cards with false information to turn in. Proving fraud is difficult because there are no means to verify a voter’s citizenship. There is no provision in the law to ask for proof of ID or citizenship when voting, and law enforcement and District Attorney’s have no tools to use for prosecuting voter fraud. Mr. Vasquez discussed the merits of the Voter ID bill that passed the Texas Senate, only to die in the Texas House of Representatives. He testified in favor of the bill, asking our legislators how they would like him to define an “acceptable” level of voter fraud? Is it one vote? 100 votes? 1000 votes? Mr. Vasquez asked all in attendance to get registered, get informed and get to the polls. He encouraged us to work together, quit bickering, and exercise our right to vote. The deadline to register and be eligible to vote in the November 3, 2009 election is October 5, 2009. Are you registered?